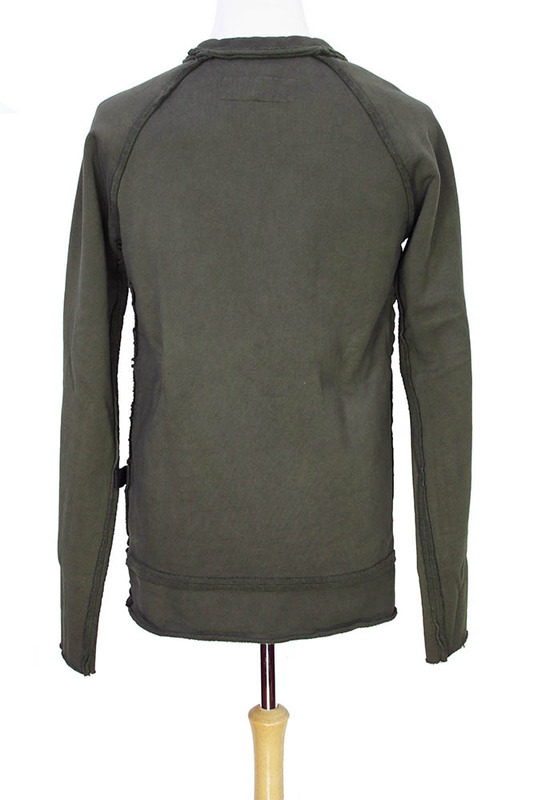 Rundholz Dip Collection over-dyed heavy sweat fabric sweatshirt in olive green (olivengrun). Round neck with triple layered, raw edged, rolled trim. Raw edged seam details throughout. Two large pockets at front with raw edged detail and angled waterproof zips with pulls. Rolled raw edged hem. A substantial, solid piece f clothing, which will get better and better with wear, until it becomes perfect.